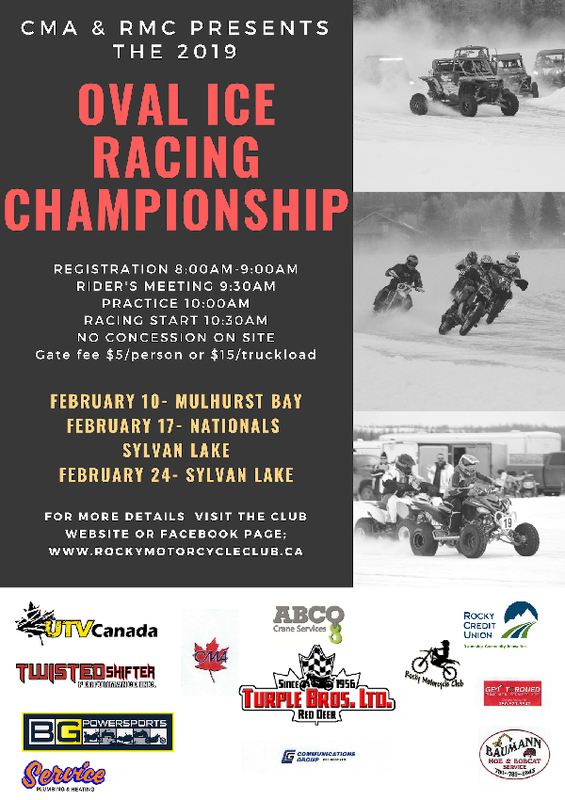 Rocky Motorcycle Club has taken on a new area of adventure and hosts the CMA Ice Racing Series in Alberta. 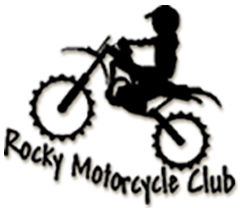 Learn the ins and outs from experienced racers on how to set your machine up right. 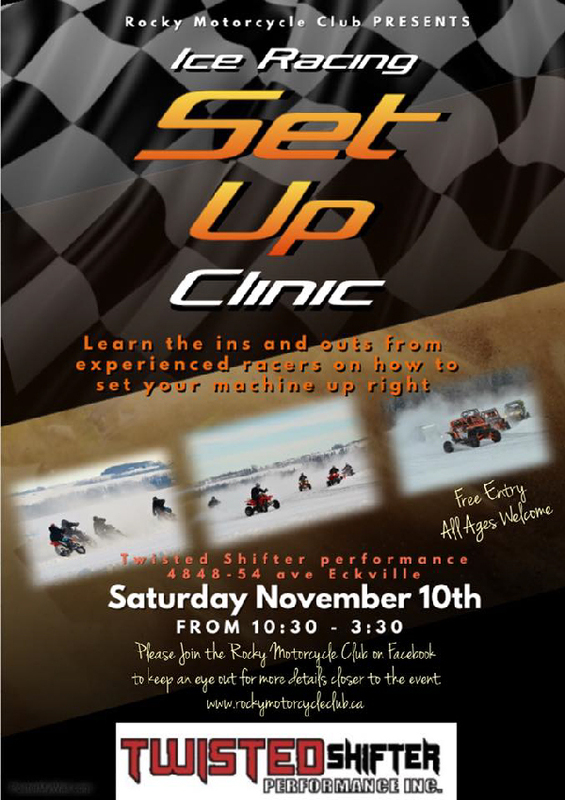 Clinic takes place at Twisted Shifter Performance at 4848-54 Avenue in Eckville, Alberta.